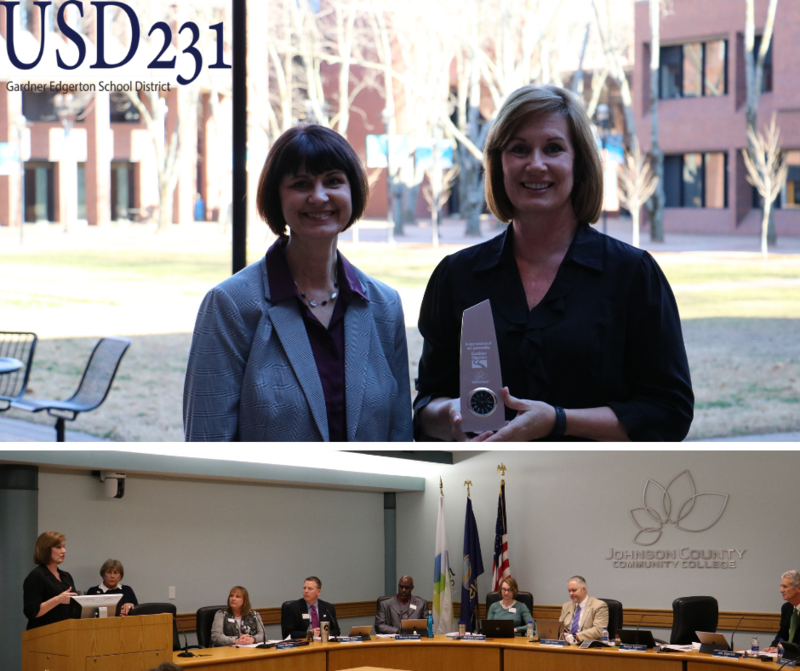 On Thursday, March 21, Superintendent, Pam Stranathan and Coordinator of Special Services, Melissa McIntire, were presented with an award from the Johnson County Community College Board of Education. Stranathan and McIntire have partnered with Johnson County Community College with various programming for students in our district. The award presented symbolizes the time, past and present, USD 231 has shared with JCCC.